Rising stars Tom Hardy and Joel Edgerton command the screen as two estranged brothers facing the fight of a lifetime in Lionsgate's "Warrior," a moving, inspirational action drama from acclaimed director Gavin O'Connor ("Miracle"). 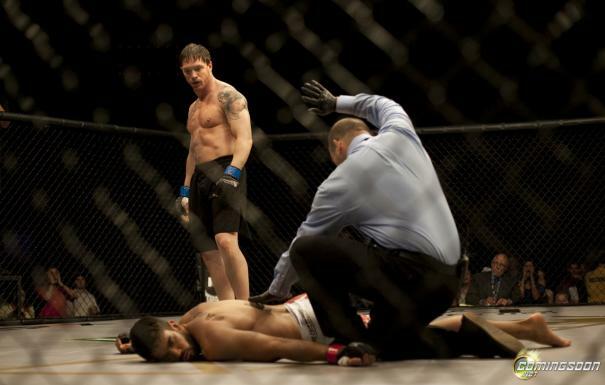 Haunted by a tragic past, Marine Tommy Conlon (Hardy) returns home for the first time in fourteen years to enlist the help of his father (Nick Nolte) to train for Sparta, the biggest winner-takes-all event in mixed martial arts history. A former wrestling prodigy, Tommy blazes a path toward the championship while his brother, Brendan (Edgerton), an ex-fighter-turned teacher, returns to the ring in a desperate bid to save his family from financial ruin. But when Brendan's unlikely, underdog rise sets him on a collision course with the unstoppable Tommy, the two brothers must finally confront each other and the forces that pulled them apart, facing off in the most soaring, soul stirring, and unforgettable climax that must be seen to be believed. A rousing ode to redemption, reconciliation and the power of the human spirit, "Warrior" is also a moving testament to the enduring bonds of family.